[June 19, 2017] LINCOLN - Robert R. "Bob" Hall, 76, of Lincoln passed away on Tuesday, June 6, 2017 at Memorial Medical Center in Springfield. 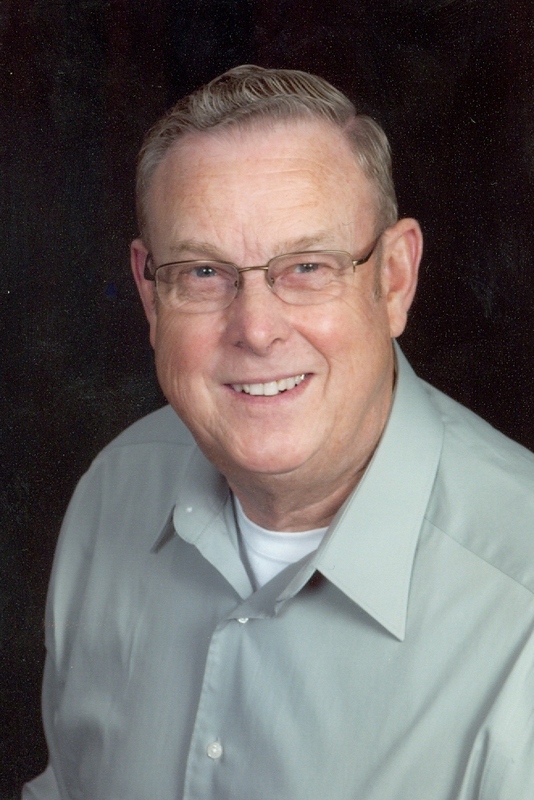 Lincoln- Robert “ Bob” R. Hall, 76, of Lincoln passed away on Tuesday, June 6, 2017 at Memorial Medical Center in Springfield. A Memorial Service will be held on Tuesday, June 20, 2017 at 11:00 a.m. at the Jefferson Street Christian Church with Mr. Michael Mallick officiating. A Visitation will be held from 5:00 p.m. until 7:00 p.m. on Monday, June 19, 2017 at the church. Additional visitation will be held from 10:00 a.m. until 11:00 a.m. on Tuesday prior to the service. Burial will be in the Hartsburg Union Cemetery in Hartsburg at a later date. Robert Richard Hall was born on October 6, 1940 in Rushville the son of Lyle Richard and Dorcas Dean Hall. He was united in marriage to Louise Dancy on December 2, 1960 at the Lincoln Christian Church. Also surviving are his two sons: Robert Brian (Kim) Hall , Richard Bruce Hall. One Sister: Janet (Robert) Vogt. Eight grandchildren: Andrew Hall, Megan (Brett) Dellow, MacKenzie Hall, Brie Hall, Allison (Lee) Longoria, Ricky (Natalie) Hall, Jordan Hall, Tyler Hall. Six great grandchildren: Cady, Camden, MacKenna, Mia, Seth, Kyah. Many Nieces and nephews also survive. He was preceded in death by his parents, one brother: Lyle D. Hall, one grandson: Brian Scott Hall. Bob graduated from the Lincoln Community High School in 1958.He then served in the United States Air Force. He was a member of Jefferson Street Christian Church. Bob was a member of the Plumber / Steamfitters Union Local # 137in Springfield for 56 years. His hobbies were traveling and his church. Memorials may be made to the Jefferson Christian Church. 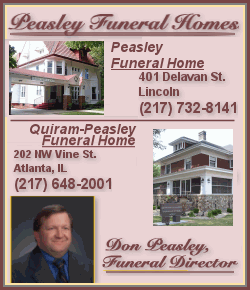 Peasley Funeral Home is assisting the family with arrangements.